Chief Justice of India R M Lodha asserted that independence of the judiciary is "non-negotiable" and it has the inherent strength to foil any attempt to interfere with that. In remarks that come against the backdrop of steps to end the collegium system of higher judicial appointments, he did not make any direct reference to the law passed by Parliament in this regard, but said no effort to take away the judiciary's independence will succeed. Judicial independence is essential for maintaining public confidence that there is an institution which would come to their "aid and rescue in case of any wrong committed by the executive or anyone", he said on Saturday addressing a seminar on 'Rule of Law Convention - 2014'. The CJI called upon the legal fraternity to keep away people who "play tricks to taint the judiciary" saying any form of corruption in the judiciary "shields impurity which is the worst form of aliment in a thriving democracy." "I won't speak on the issue (the Bill) but I would touch upon the issue of independence of the judiciary which is very dear to me. 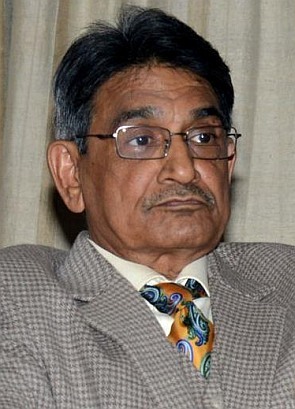 It is one thing which is non-negotiable," Justice Lodha, who is demitting office as CJI on September 27, said. "Having been a judge of high courts and the Supreme Court for more then two decade, 21 years, I can say with confidence that the judiciary has the inherent strength and no effort would succeed in taking away its independence," he said. "My experience is that by and large now people understand that the judiciary is something whose institutional independence cannot be touched. I am more than confident that the independence of the judiciary maintained by everyone and anyone for whom the judiciary is dear at any cost and once it is maintained I am sure there would be a strong rule of law as it is the independence of the judiciary that leads to confidence in people’s mind that here is a judiciary that would come to their aid and rescue if there is wrong done by executive or by anyone." Justice Lodha also referred to the judicial appointments commission of the United Kingdom and said during his recent visit to London he was told that there is no change in the quality of appointments after the commission was constituted five years ago but "it brought transparency". He said that in the era of economic growth, corruption is also growing and it is "very-very" essential that judiciary remain corruption free. "If there is any amount of corruption in the judiciary one thing that will happen is it would shield impurity. That is the worst form of ailment in a thriving democracy and to each one of you, who are sitting here, I request you don't do anything that directly or indirectly that brings corruption to the judiciary. Because corruption is not something which can happen by one hand. There are people who play all sorts of trick." "Corruption has to be eradicated in all forms in judiciary," the CJI said adding that the challenge is there to maintain the purity of judiciary. While lauding the role played by the legal profession in the independence of the country, he said, "Now, the role of lawyers has become important for maintaining rule of law. Rule of law cannot be breached by anyone howsoever be a person mighty."